Sold for $1,325,000 Twin Peaks Just Sold! 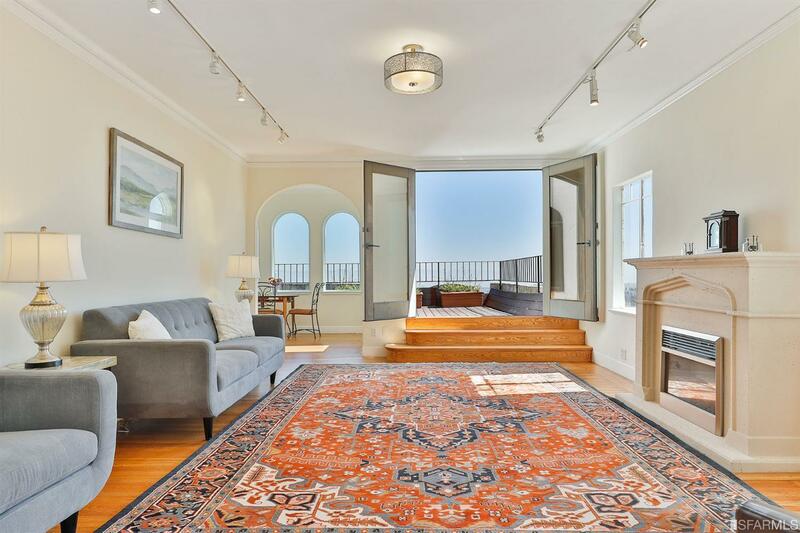 Outstanding Spanish Med, circa 1927, with absolutely spectacular San Francisco skyline and Bay views. This condo features two bedrooms, two baths, living room, formal dining room, den and fabulous remodeled chef's kitchen. Extra large front bedroom and living room opens into deck overlooking San Francisco. Sparkling hardwood floors and period detailing throughout. Laundry room with washer dryer. Separate one-car independent garage.